Author Jeff Rubin says Canada’s future in a post-oil world is in water and agriculture. Poor Jeff Rubin. As chief economist at CIBC World Markets, he predicted in 2008 that oil would be $200 a barrel and gas would be $10 a gallon by 2012. In 2012, he explained that the troubled economy did his prediction in. “What happened to my forecast for $200 oil? Quite simply, the end of growth,” he wrote at the time. This hasn’t stopped Rubin. 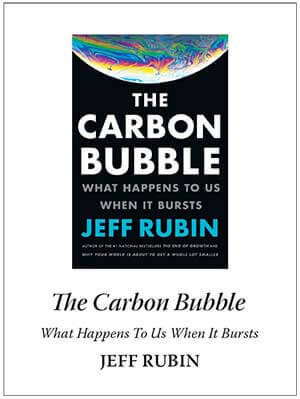 He’s back with his latest book The Carbon Bubble, setting himself up like Charlie Brown coming at Lucy holding the football with another analysis of where we are going. One has to ask: Is he going to hit the football or end up flat on his back? Rubin follows the radical changes that have transformed the North American oil scene, and have turned the world upside down. Canadian Prime Minister Stephen Harper put all his chips into the Alberta oil sands at the cost of Eastern Canada’s manufacturing sector, which lost thousands of jobs due to the soaring petrodollar. But most of the oil is trapped there with nowhere to go; the Keystone XL pipeline is languishing and pipelines going east and west are being fought against tooth and nail. As opportunity calls, the railways turn their tracks into stand-in pipelines, moving thousands of old single-walled tank cars full of petroleum through the hearts of cities and towns. What could possibly go wrong? Then Harper’s bet on Alberta goes totally south – literally – when hydraulic fracturing, or fracking, turns America once again into an oil and gas superpower. Suddenly, the price of oil is way below the cost of steaming it out of the rocks of Alberta. Rubin lays all this out in detail. 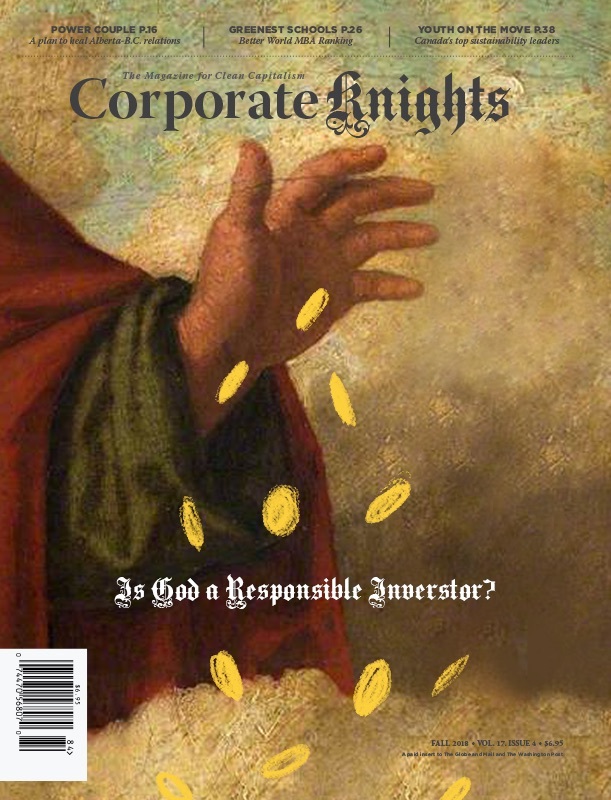 Ten years ago, when he was CIBC chief economist, Rubin wrote: “You know you are at the bottom of the ninth when you are schlepping a tonne of sand to get a barrel of oil.” This is truer now than it ever was. It just takes too much work, too much energy and creates too much carbon dioxide to try and boil oil out of dirt and rock. Sometimes things slip through. Take this sentence in his chapter on the Alberta economy and troubles in the oil sands. “If I were Jim Prentice, I’d be giving some serious thought to Plan B.” Prentice, who was Alberta’s premier at the time Rubin wrote that chapter, has since been turfed by Alberta voters. Even Rubin could not have imagined that citizens had their own Plan B; that shortly after his book came out Albertans would elect a left-leaning NDP government in place of a Conservative Party that ruled for 44 consecutive years. But Rubin makes clear it’s not all doom and gloom for Canada. The carbon bubble might be bursting, but other opportunities are opening up thanks to warmer temperatures. 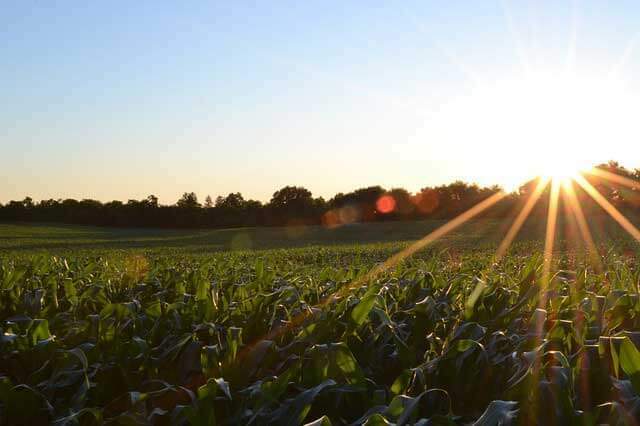 The prairies have long been Canada’s breadbasket, but as the seasons get longer, it may well switch to more profitable corn crops, the mainstay of the manufactured food industry. Canada’s water, half being carelessly wasted as it runs into the Arctic or Hudson’s Bay, could be re-routed and sold to California, says Rubin. Or it could be converted to electricity. “Harnessing the incredible kinetic power generated by the movement of the country’s running surface water is yet another way in which Canada can capitalize on its most important resource,” he writes. Given Canada’s water resources and expected changes to its climate, Rubin suggests the country return to its agricultural roots. Fundamentally, from exporting water and hydropower to growing corn and shipping it through the Arctic, Rubin is suggesting that Canada take advantage of the benefits climate change could bring it at the expense of America, which will need water, food and low-carbon electricity. Some will argue that Canada won’t do so well in a warming world. Others might complain that Canadians should aspire to be more than just hewers of wood and drawers of water. What’s certain is change isn’t just coming – it’s happening, so quickly that the book publishing cycle can’t keep up.